At GoransonBain Ausley we pride ourselves on our ability to deliver sound legal advice while attempting to de-escalate contentious, emotional situations. There is no area of family law where this skill is more important than in child custody. Every member of our team understands that the care of your child is your number one priority as a parent. While we always aggressively protect our clients’ rights, we also strive to keep the best interests of their children at the forefront by keeping them out of the litigation. Most mothers and fathers recognize that having a positive and nurturing relationship with both parents is an important part of a child’s self-esteem and well-being. However, the stress and negative emotions that accompany most family law disputes can, in the heat of the moment, interfere with a parent’s ability to recognize the harm caused by ongoing parental conflicts. As with all of our family law services, we strive to avoid unnecessary emotional pain for your family. If we become aware that your child is struggling, we will discretely bring it to your attention. 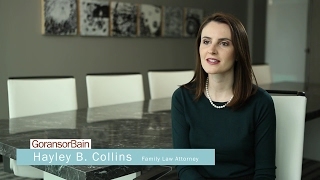 We believe it is essential for parents to actively manage the emotional impact of custody litigation on themselves in order to better protect the child from collateral harm. From a child’s point of view, they will have two homes after a divorce, not one. So we work with parents to help them understand that custody is more than something to be won or lost – and that there will still be significant decisions to share. Who will have custody of the children is one the most emotionally charged decisions to make in a divorce. At GoransonBain Ausley, we understand how difficult this subject is for parents, supporting parents with clear legal advice while reminding them that custody is rarely a question of ‘all or nothing’. From where the children will go to school to providing for their medical care, plenty of decisions will involve both parents’ input. Our experienced Dallas child custody lawyers will discuss custody or “conservatorship” and the rights and duties of parents. We are here to help you address all of the concerns you have that involve significant decisions affecting your children. For the majority of parents, the visitation or possession schedule they will have with their children is the most important thing they will decide. GoransonBain Ausley lawyers are there to help you hold productive discussions about what schedule is best for you and your children. We listen carefully to you to get to know the ages and needs of your children, both parents’ work schedules and availability and ability to keep to certain schedules so that the children’s lives are the least disrupted. We’ll make sure you understand the Standard Possession Order provided by the Texas Family Code and help you decide whether this schedule will work for your family. If not, we will help you craft a schedule that works for your specific family. In some situations, we can recommend parenting consultants, mental health professionals and child specialists who can help you develop custody and visitation solutions that work for you as well as help you address any parenting concerns or conflicts that may arise during the divorce or child custody dispute. If you have children and are contemplating a divorce it is crucial to talk to a capable Dallas child custody attorney as soon as pos,sible. Call or email our Dallas, Plano, or Austin office to schedule a consultation. What Is A Child Custody Temporary Hearing?